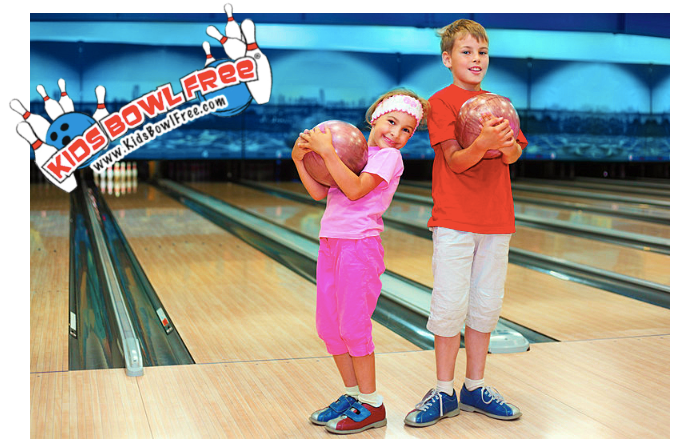 Kids Bowl Free All Summer Long! My five kiddos are at camp mamaw all summer now that school’s out and she’s come up with a schedule for them to follow that includes visits to the library every other Friday, swimming at the neighborhood pool a couple afternoons during the week, and bowling a couple times a week. They also have reading hour every day and they’re doing some educational activities each day like working on their cursive writing and math skills. I’m thrilled to have these kinds of free and inexpensive activities for the kids to enjoy this summer without killing our budget!